Summary: This is my second attempt at a long term analysis for the S&P500; the two wave counts presented here are an improvement from the first attempt. The bull wave count ignores the 1840’s depression and for this reason the bear count which includes it may have a higher probability. 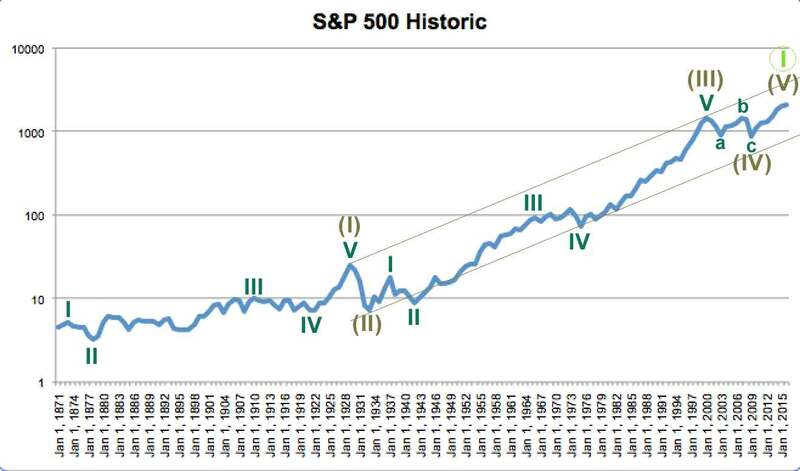 If Super Cycle wave (III) began at the end of the Great Depression in 1933, then it may have ended recently in 2000. Super Cycle wave (III) would have lasted 67 years and moved price 1,523 points. Within Super Cycle wave (III), there are no adequate Fibonacci ratios between cycle waves I, III and V. Cycle wave II is a deep 0.82 zigzag lasting 5 years, and cycle wave IV is a shallow 0.25 expanded flat lasting 9 years. 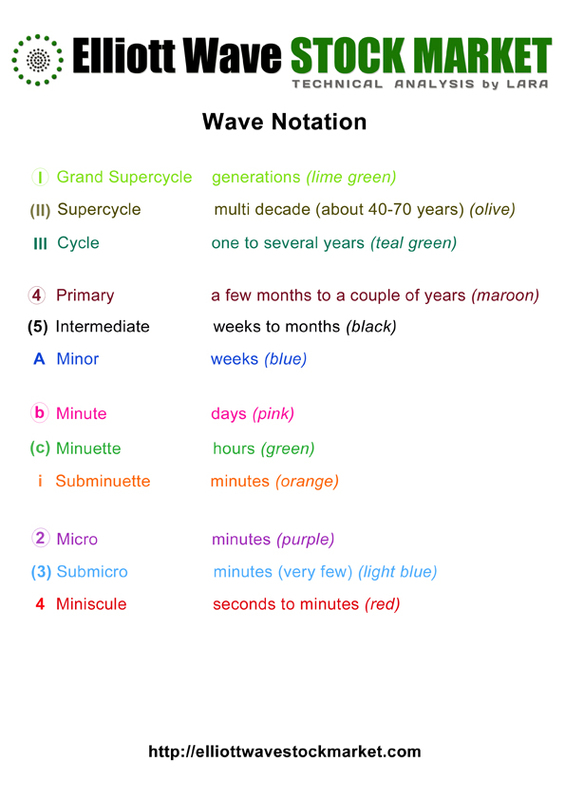 There is perfect alternation between cycle waves II and IV. It may be that a cycle degree third wave is about to complete, rather than a primary degree third wave, so the degree of labelling for the daily bull wave count may need to be moved up one degree. 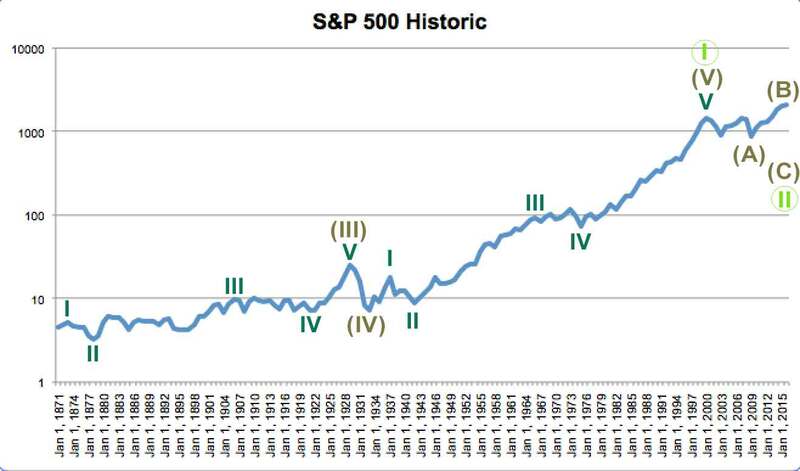 This bear wave count expects that the Depression of the 1840’s was a Super Cycle wave (II) and the Great Depression of the 1930’s was its counterpart Super Cycle wave (IV). From an historic perspective both depressions were significant, so this idea makes more sense. Within Super Cycle wave (V), the subdivisions are seen in the same way as for the bull wave count. There are no adequate Fibonacci ratios at cycle degree, but there is perfect alternation between cycle waves II and IV. This analysis means that the degree of labelling for the bear wave count at the daily chart level should also be moved up one degree. I am starting to think the Bullish count is correct but that we are also seeing the completion of a Grand Super Cycle Wave. It may be that the upcoming GSC wave 2 correction will mirror the super-cycle correction of 1929 in its intensity and rapidity. For bullish count, cycle three of super cycle five seems quite brief compared to that of super cycle three…assuming of course that it is close to completion. I see…. yes. It would be more brief. However, a cycle degree wave should last one to several years. So far this one would have lasted 3.6 years. And this is the problem right there with the bull wave count. It’s looking for the end to a fifth wave… at Super Cycle degree. Which is a notoriously difficult thing to do. Bottoms are easier to pick than tops. I would be using trend lines to show when the fifth wave is over. 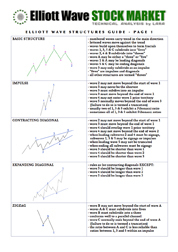 I think trend lines are the best indicator although they can be quite lagging. Thanks so much for the big perspective. It’s also starting to look to me like institutions are unloading big blocks on central bank buying the last several weeks (based on comparative volume on up and down days). Shanghai had an intra-day swing of almost 7%! !